Pancreatic cancer is a disease that takes the lives of over 40,000 Americans a year, one that CSHL Professor Dr. David Tuveson has spent his career studying. 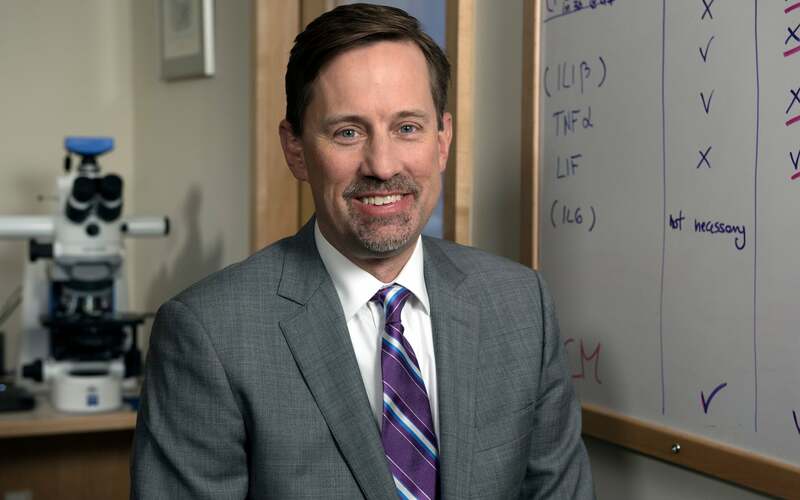 His extensive work identifying new diagnostic and treatment strategies for this highly lethal cancer has been honored by the American Association of Cancer Research (AACR), which has named him to its Board of Directors. Dr. Tuveson has recently been appointed Chief Scientist of the Lustgarten Foundation for Pancreatic Cancer Research. Tuveson is Director of CSHL’s National Cancer Institute (NCI)-designated Cancer Center and the Roy J. Zuckerberg Professor of Cancer Research at the Laboratory.